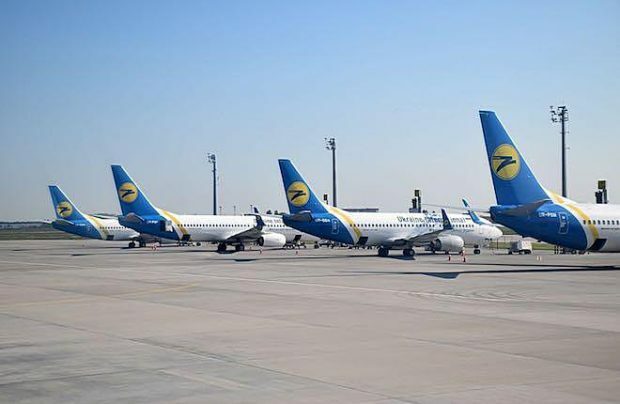 The implementation of the Aviation Transport Strategy of Ukraine will inspire a big increase in passenger traffic numbers to 80 million by 2030, four times its current levels, a Ukraine Ministry of Infrastructure forecast indicates. A combination of the liberalisation of the local air travel market – and the planned increased involvement of low-cost carriers (LLCs) into the country’s regional airports operations – are expected to drive these ambitious goals. According to statistics issued by the State Aviation Administration of Ukraine, the nation’s airports collectively served some 20.5 million passengers in 2018. Therefore in order to quadruple the passenger numbers by 2030, the strategy assumes a comprehensive liberalisation of flights between Ukraine and the countries of Europe, America, Asia, Africa, and the Middle East whilst fostering and enabling a healthy environment for the development of LCC operations “both domestic and foreign air carriers using all regional airports of Ukraine”, and “encouraging existing domestic and foreign airlines to increase their activity and reduce prices for air travel”, the statement says. The project requires the maximum liberalisation of bilateral international air services agreements and a zero VAT rate on aviation fuel and aircraft lease deals. In addition, the document highlights the importance of the country’s airport infrastructure development. In particular is a proposal to develop and adopt a radical regional airports development programme, including the reconstruction of airfields, which would mean the airports of Lviv, Odessa, Kharkiv, Kherson and Zaporizhia will be able to accommodate wide-body aircraft types up to the Boeing 777 and Boeing 737-800/900 and Airbus A320/321 narrow-body sizes. The airports of Uzhhorod, Ivano-Frankivsk, Chernivtsi, Ternopil, Vinnytsia, Mykolaiv, Poltava, Dnipro, Mariupol, Kryvyi Rih, Cherkasy, Rivne, Kyiv, Bila Tserkva, and Sumy would be able to accommodate the Boeing 737-800/900 and Airbus A320/321 types. According to the authors of the strategic plan, the estimated investment in the reconstruction of regional airports will cost between €361 and €500 million. In addition to the increase in passenger traffic numbers, the implementation of the Aviation Transport Strategy will also help to increase the share of passenger traffic travelling through regional airports to 50 per cent of the total, while LCC passenger traffic will account for up to 35 per cent of the total.